OLD PARKED CARS. 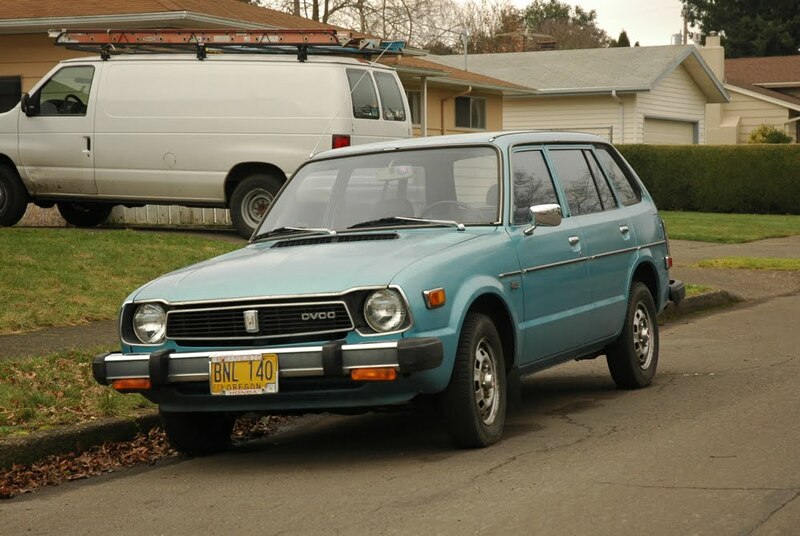 : 1978 Honda Civic CVCC Wagon. 1978 Honda Civic CVCC Wagon. This is the first car that has ever gotten me yelled at by an obvious meth head. Had to go back a second time to get it, I was super nervous going back, and I'm still creeped out just thinking about it. FLY DELTA in concert. FOR ONE NIGHT ONLY. What is it with druggies and old cars, esp. in Oregon? This thing is awesome, dig that side and front shot. so good, and very nicely shot. appears quite well preserved. red "H" center caps a nice detail to see. also, bonus lights beneath front and rear bumper. from the rear angle, that last window behind the c pillar absolutely calls out to me, don't know why. and that face is sharp. who needs more car than this? This car reminds me of the TV series Mr. Bean. 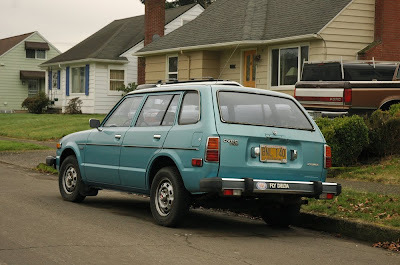 This is the car that was always bullied in the show. But nevertheless, this car is one of the pioneers of the hatchback style! Classic Honda enthusiast, here. I'm particularly knowledgeable about the 1st generation Civics, which this is. 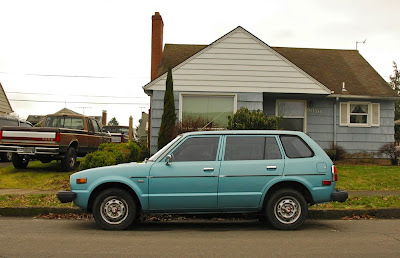 I've actually owned a few of these Civic Station Wagons, & my father bought 1, brand new, in 1976, the year I was born, right after my grandfather bought the very same, but the smaller hatchback version, & that wagon was our family car, all the way up through my teens. My grandfather Jeroen his until he died, when I was 13. Then I inherited it. I guess these early exposures to these cars was where I got my live of Hondas. Anyways, enough about me. The lights under the bumpers are standard factory original turn / parking lights in the front, & on the rear, the read portion is just a reflector, & the white are, obviously, back-up lights. These were not options, but were standard on all 1978-79 model year Civics, sedans, hatchbacks, & Station Wagons. Just thought I'd share my knowledge.